Fuel3D is a leading 3D capture and imaging innovator. From large enterprises to disruptive start-ups, we work with organizations who wish to explore and deploy new 3D applications.We deliver innovative uses of 3D data to address business challenges and support the introduction of exciting new products and services. 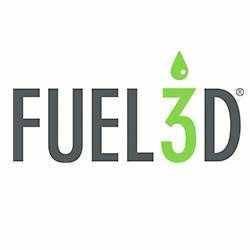 We achieve this through our proprietary algorithms and software, combined with solutions consulting and hardware development expertise.Fuel3D’s platform captures 3D data in under 0.1 seconds and offers unique capabilities for scanning subjects in high resolution. Our work with partners has led to substantial advancements across a variety of market sectors, ranging from healthcare and academia to security and 3D manufacturing.